As the open surgical procedure requires extensive mobilization within the retroperitoneum over a large area, it necessitates a large flank or midline incision. The objectives of open surgery can be easily met with minimally invasive technique of laparoscopy (Table 4) (11-13). Laparoscopy provides optical magnification that facilitates the identification of small lymphatics easily, thus increasing the chances of success with lesser blood loss and operative time. Postoperative recovery is rapid and hospital stay is short (11-13). Abbreviations: RR retroperitoneal; TP transperitoneal. 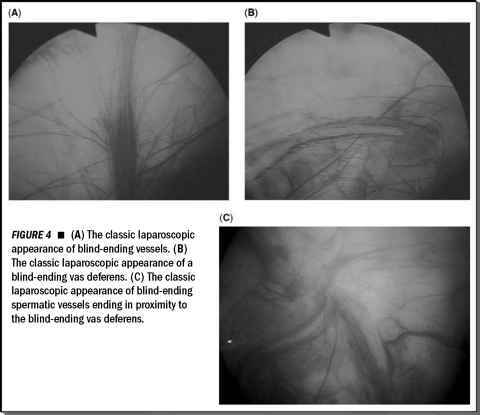 Retroperitoneal laparoscopic lympholy-sis has an obvious advantage, because the peritoneum is not transgressed at any level thus avoiding the potential complications such as bowel injury and prolonged ileus.